The Loan Performance Insights Report is your source for the most comprehensive and accurate U.S. mortgage performance trends. 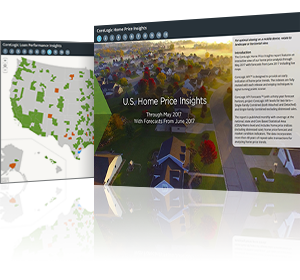 The Home Price Insights Report is your source for the most comprehensive and current home price trends. CoreLogic HPI™ is designed to provide an early indication of home price trends. The indexes are fully revised with each release and employ techniques to signal turning points sooner.